Dug Mattel likes to live life in the fast lane, his older brother owns ‘Smallbrook Forge & Welding’ and though good on the tools, being a blacksmith and panel beater was never on the cards for young Dug. If he could follow his star he’d be living the life of good old Barny Oldfield, who nowadays makes more money from endorsing tires than racing speedway! If he could fly Dug would be a ‘Barnstormer’ but god gave him wheels not wings. He loves to race but says he never takes a chance he thinks he can’t win. 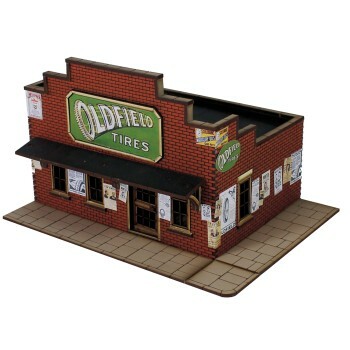 Supposedly, racing prize money gave him the head start to make his own business as an Oldfield tire dealer, but a few folks know it’s not the racing that keeps him flash with cash! Bringing on the hot wheels when others want him to make a quick get way, that’s what earns him his real dough.